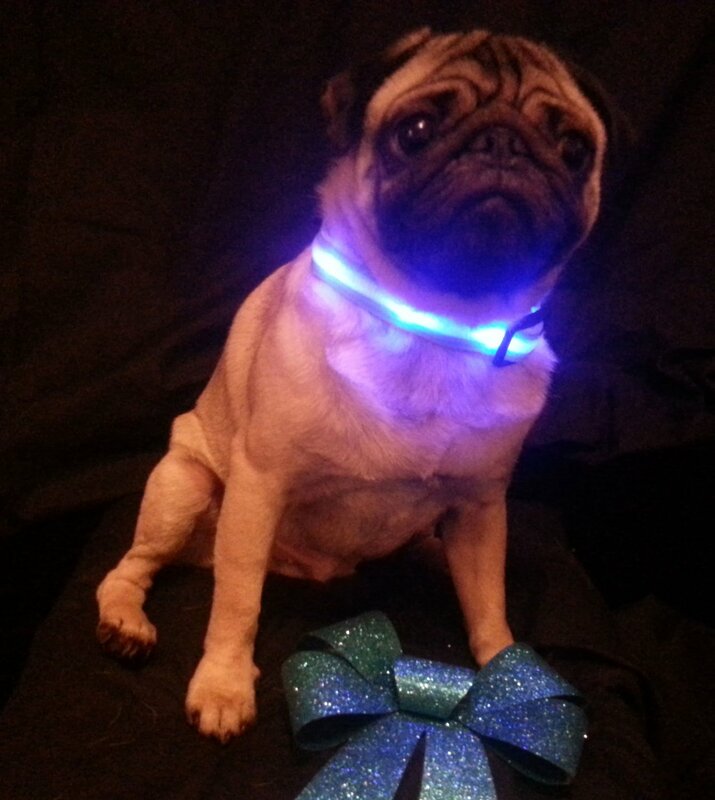 Night-time safety hasn’t ‘gone to the dogs’ thanks to these innovative flashing dog collars. Make sure your beloved pet is visible to motorists, cyclists and pedestrians when you’re out at night, especially if he has a dark coat. And for the real party animals, they’re ever so handy for the spontaneous disco dance – WOOF! You’ll never be lost in the dark! With these handy Visiglo Nylon Collars with LED lights, your pooch will be your guiding light. Its super bright LED bulbs are visible from over a mile away and are powered by replaceable batteries in an integrated battery park. The super soft nylon means your pet is guaranteed a comfortable fit. Available in a range of colors including white, red, blue and jade green as well as varying sizes. Get the Visiglo Nylon Dog Collar Here. The Firefly includes 6 LED lights and 3 variable speeds: Rapid Flash, Slow Flash and Constant. Choose Red or Blue. Get the Firefly Dog Safety Collar Here. 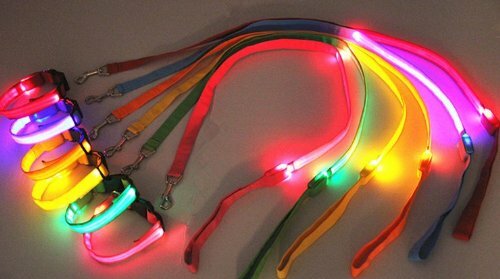 For some extra ‘bling’ and night-time visibility, opt for the Happy Pets Collar and Lead combination. The extra lead visibility means you won’t get tangled up. Comes in a variety of colors and sizes to fit. Get the Happy Pets Collar and Lead Here. An alternative to the full flashing collar is a luminescent LED Flashing Dog tag that attaches to your pet’s collar. 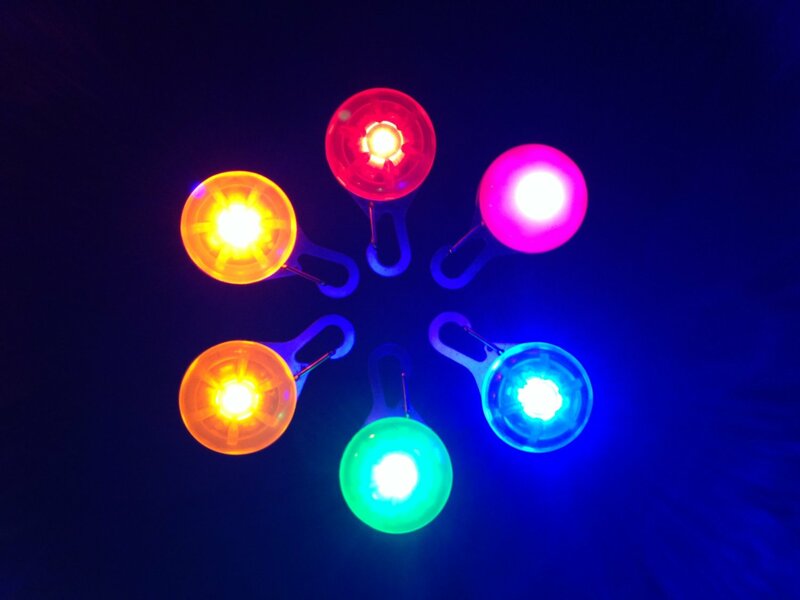 The LED bulb is enclosed in a bright and colorful case made from silicon and stainless steel. You can also attach it to backpacks, bicycles as well as camping equipment. Get the LED Flashing Dog Tag Here. Red, orange, green or blue? Why choose? The Ojia 6 Pack LED collars lets you pick the hue that suits the mood. Make a fashion statement with matching outfits – you’ll be the most stylish walkers on the block. 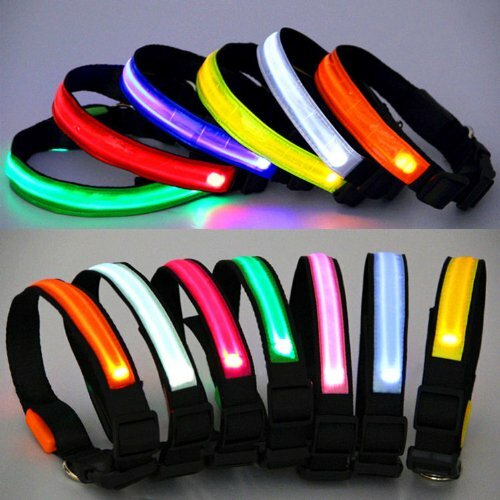 Get OJIA 6 Pack LED Collars Here.